Putting green—To be honest, I never spend enough time watching the pros on the putting green. And I should because it’s where weekend golfers can pick up some valuable tips. Again, the gold standard for putting is a consistent tempo where “stroke” not “hit” is the key word. Especially on Bythefield’s fast greens, the pros will demonstrate a rhythmic stroke where distance is controlled by the length of the stroke, not its speed. The best LPGA putters to watch are Christine Song, Morgan Pressel and Inbee Park. Vantage spots, front side—I like to pick out spots where you can watch players on several holes. Definitely bring a small pair of binoculars. One important note: for the tournament the nines have been reversed so the pros will be teeing off on Blythefield’s 10th hole as their starting hole. However, the ninth and the 18th holes will remain the finishers for each side. The “front” nine at Blythefield is quite scenic with its drop-off in elevation down along the picturesque Rogue River. It can be a hike and the walk up the 7th hole is a test, but at least for one day spectators should take in that part of the course. Some good vantage spots would be behind or alongside the par-three 4th where you can also watch tee shots on the 5th. The 7th tee is another good spot if it affords a view of the par-three 6th hole, a hole that a certain nameless golf writer once carded an ace with a one-iron. Take that, Michelle Wie! For those not up to a hike, the reachable par-five 8th hole is recommended since birdies and eagles will roost there. Vantage spots, back side—Depending on how the gallery ropes are set up, catching the action at the par-four 13th and par-three 14th holes are smart spectator locales.There might be a spot near or ahead of the drive’s landing area on the 13th hole where spectators can watch second shots into the green and then also stroll over to watch the tee shots for the 14th. And there’s lots of shade trees nearby if it’s a hot, sunny day. I also will watch how the pros play a particularly favorite hole at Blythefield, the short but beguiling par-four 17th hole. At first glance, it doesn’t appear too challenging but the small, perched green with its steep run-offs make accurate approach shots a must, especially into the wind. LPGA officials may opt to move up the tees one day on this hole which will be another reason to catch the action here. Practice range—Yep, returning to the practice range toward the end of the day can offer some added insights. After a player completes a round, she’ll often return to the range to work on a particular aspect of her game. Here’s when you usually see players rely on teaching aids and tools and the process can be quite revealing. One of my golf buddies said he watched a pro at the PGA Seniors at Harbor Shores work on his alignment and impact position, using a teaching aid, for over two hours after his round one day. Clubhouse—If your ticket allows access, be sure to visit Blythefield’s clubhouse, grill areas and pro shop. There will be special club memorabilia and photographs to appreciate. 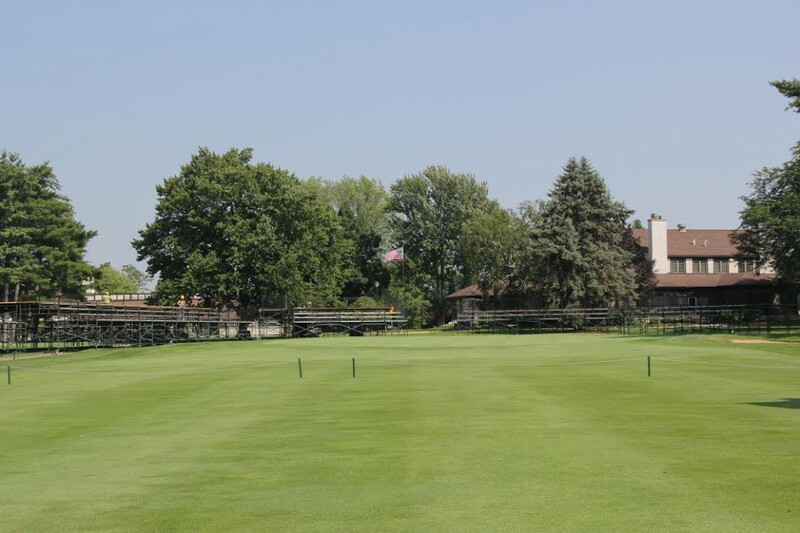 Opened in1929, the club has a rich and compelling history, hosting a number of state and national championships including the 1953 Western Amateur won by Dale Morey, the 1961 Western Open won by Arnold Palmer and the 2005 Western Junior won by Rickie Fowler. Along with current head professional and general manager Patti Butcher, the 2010 LPGA Golf Professional of the Year, Blythefield’s head pros have included Michigan Golf Hall of Fame’s John Barnum (1984) and Buddy Whitten (1993). 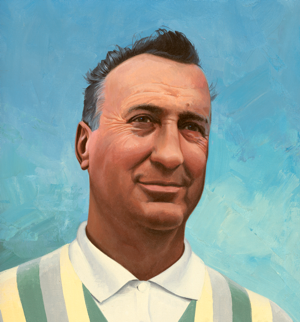 Past members include Marvin Stahl, a dominant Michigan golf pro in the ‘30s and also a Michigan Golf Hall of Fame member. Your game plan should start with buying an affordable ticket for only $15. Tickets are available at area Meijer stores at the courtesy desk. Weeklong tickets are only $35 and there are a limited number of daily $50 tickets that permit holders access to reserved seating. The charity tie-in is Simply Give, Meijer’s philanthropic program to support community food banks.